In mid-January 2016 we wrote about the smartwatch from Bluboo (Shenzhen Huihua Exploit Technology Co., Ltd) called Bluboo Xwatch. Indeed, the smartwatch made a big rumor in the market. This is a very nicely designed smartwatch and also runs on Android Wear. He was to appear in February, but it failed. Whereas we have good news Bluboo Xwatch will be available for sales in May, probably in the price which was announced about $100 ($99). 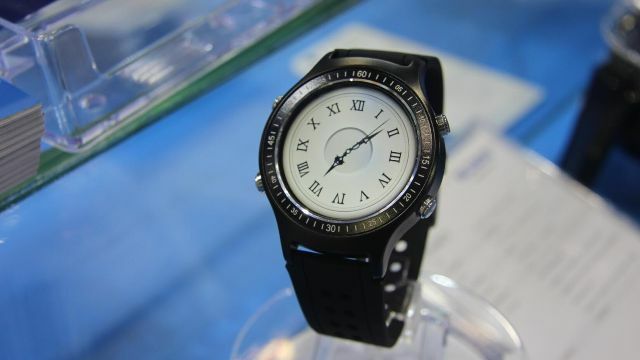 The Bluboo brand also showed Xwatch during HK Electronics Show. As you can see in the pictures smartwatch enjoyed the attention. Most fans of the brand Bluboo and Blubboo Xwatch smartwatch can not wait to availability. What else has changed? Xwatch will be equipped with a strap made of silicone. It’s well-known that Apple Watch uses silicone as its strap as well. Strap of silicone does have lots of advantages. First of all,users will feel very comfortable when wearing it because of the special texture. Unlike metal strap ,silicone makes you not feel cold at all even wearing Xwatch in chilly days. Moreover, another feature of silicone is its durability which can stand the temperature ranging from minus 40 degrees to 250 degrees, not easily getting discolored or deformed due to sweatiness in tropical days. Besides, silicone also possess the characteristics of being flexible,indehiscent, Shrink-and-wrinkle-resistant and resilient. If wearing properly, you could keep it intact for a rather long time. Last but not least, silicone is environmentally friendly which is oderless and non-toxic and easy-to-clean. If you are not fans of silicone, Bluboo also provide straps made of leather and metal for users. Different straps match for different Xwatch series. 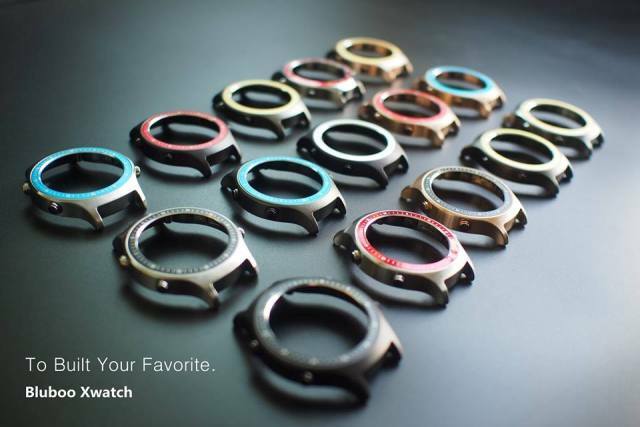 Xwatch’s strap is replaceable, customers could substitute other straps for the original ones at will. It is worth mentioning that it will be possible to change the housing smartwatch. Another highlight of Xwatch is that users could customize the function of the three buttons according to their needs, making the watch suits you best instead of one getting used to the fixed settings. We need to be patient and wait until May. If we have new information we will keep you informed.